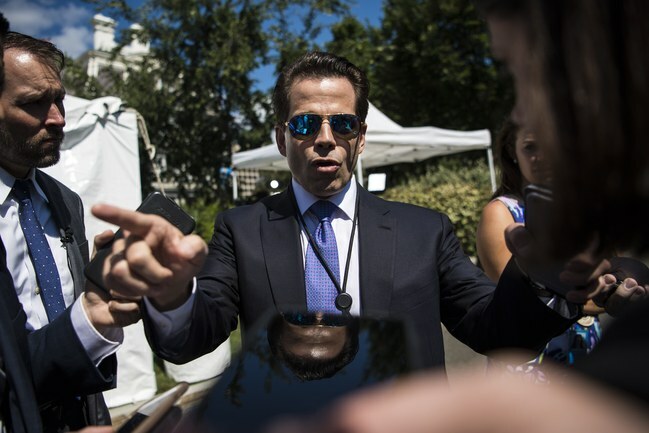 Newly-appointed White House communications director Anthony Scaramucci, hereafter known as the Scarey Moocher, arrived in D.C. this week, with a lot of asskissing for Agent Orange, and a ton of outer-borough-New-York-Italian-style bluster. Tonight the media is all atwitter over a scatological interview with the Moocher in the New Yorker, in which he proudly lowered the political discourse to the level of a street-corner argument between two goombas from the old neighborhood in Canarsie. Why is everyone surprised about his language, his confrontational attitude, his lack of respect? Twitler himself has no respect for the office of the President, for our democratic traditions, or even the rule of law itself, and he sees something of himself in Scaramucci. Why, then, should a foul-mouthed ethnic from Long Island be such a shocker? What do you think Agent Orange, a Queens boy himself, is? 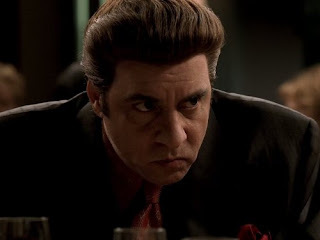 With the installation of the Scarey Moocher into the White House den of thieves, the transformation of the center of American government and the heart of the Free World, into a bad imitation of an extra season of HBO's The Sopranos, is complete. We've lost our democratic government, and replaced it with a television show... and a bad imitation of one, at that. "I genuinely don't think there's anything to gain by keeping him around."